[Response] Haiti’s biodiversity threatened by nearly complete loss of primary forest | Andrew Tarter, Ph.D. 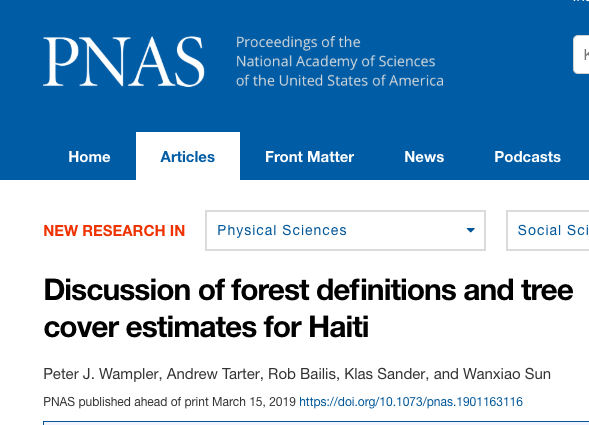 Discussion of forest definitions and tree cover estimates for Haiti, in Proceedings of the National Academy of the Sciences. Here’s a link to new national research on charcoal production and consumption in Haiti.